The Woodstock City Council thinks the time for change has come. These brave patriots aren’t willing to sit idly by as a vital ballot measure meanders through the woods of the legislative process. Like anyone who’s ever spent 75 minutes at a brunch place waiting for a table without so much as a cup of coffee, they want their goddamn mimosas as soon as goddamn possible. 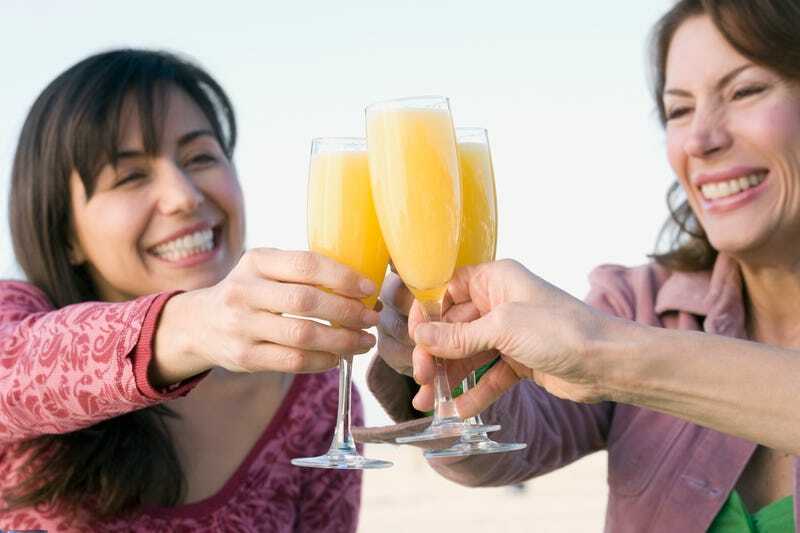 The Atlanta Journal-Constitution reports that the “Brunch Bill” would allow restaurants to begin serving alcohol at 11 a.m., a full 90 minutes earlier than the current start time. The legislation has already been passed by both bodies of Georgia’s General Assembly, and is awaiting signature by Governor Nathan Deal. The Atlanta suburb’s City Council passed a resolution asking for a referendum immediately following Deal’s signature, in hopes of getting the measure on the ballot and in front of voters as soon as they possibly can. The people of Georgia will say yes, and with that small action, we’ll all be able to feel okay about something related to the government for awhile.